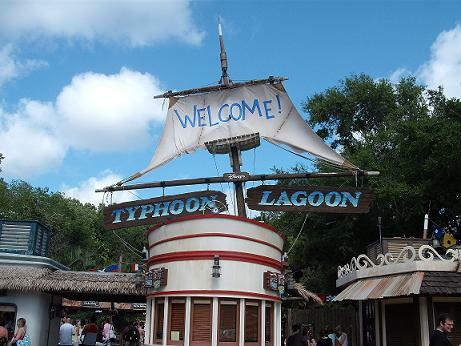 Typhoon Lagoon is a water park located at the Walt Disney World Resort in Lake Buena Vista, Florida, United States and is the second water park at Walt Disney World. The park, which opened on June 1, 1989, is home to the world's largest outdoor wave pool. 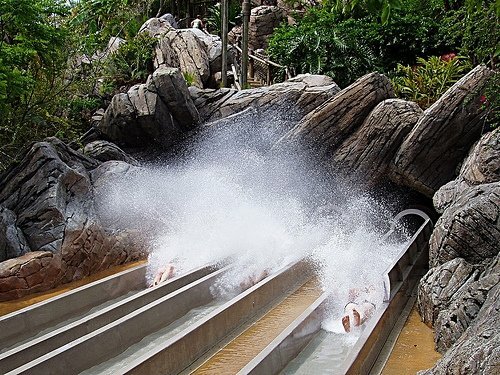 The theme of the park is the "Disney legend" of a typhoon that wreaked havoc upon a formerly pristine tropical paradise. Ships, fishing gear and surfboards are strewn about where the storm flung them. The centerpiece of the park is "Miss Tilly," a shrimp boat impaled upon a mountain named "Mount Mayday" that erupts a 50-foot (15 m) geyser of water every half hour, right before the bells of the watch sound on Miss Tilly. Typhoon Lagoon's mascot is “Lagoona Gator,” and he is related to Blizzard Beach's mascot Ice Gator. 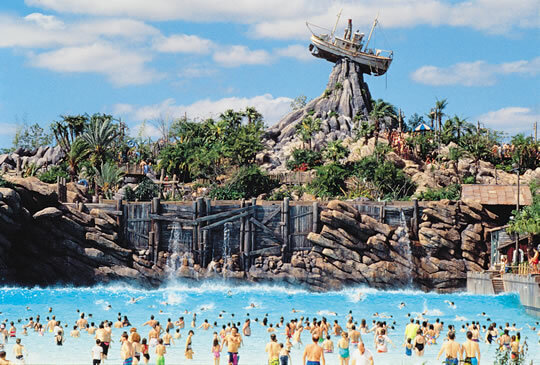 In 2012, Typhoon Lagoon admitted approximately 2,100,000 visitors, currently making it the most visited water park in the world. Description: Grab a friend or 2 for this multi-passenger, roller-coaster-like raft ride, one of the park’s signature attractions. Enter an abandoned fruit-processing plant and take a wild raft ride down 400-foot-long tube slides. According to the legend, fruit was washed here prior to packing when the plant was still operating, before the big typhoon. Note: An elevator is available for Guests with disabilities. 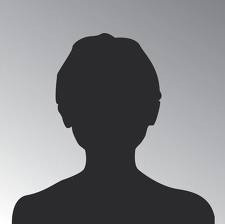 Please ask a Cast Member for assistance. Description: Plummet down Mount Mayday for a near-vertical, 5-story drop—in the dark! Brace yourself for the slide of your life as you hurtle 214 feet downhill at a 60-degree angle. Holy guacamole! 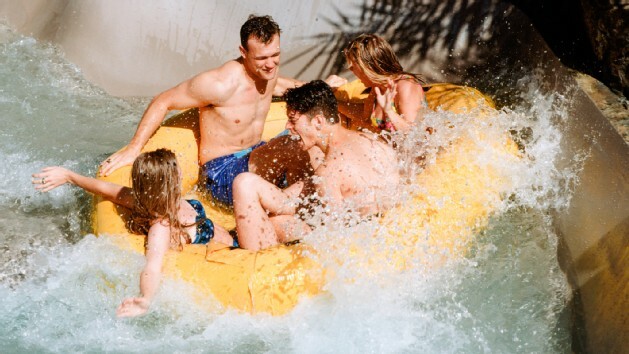 Description: Gather the gang for a raft ride in a giant inner tube with room enough for 4 people! 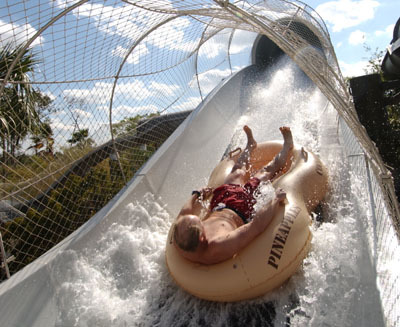 Get swept away by rushing rapids down a 300-foot-long waterslide aboard a 4-person inner tube. Big kids, teens and adults can all climb in and whoosh through rocky caverns, beneath drenching waterfalls and under rustic wooden bridges on their path down the mountain—all while rotating this way and that and banking from side to side. Description: Surf lessons are offered on select days prior to park opening. Times may vary by season and are subject to change. The associated cost is $150 per person, including tax. 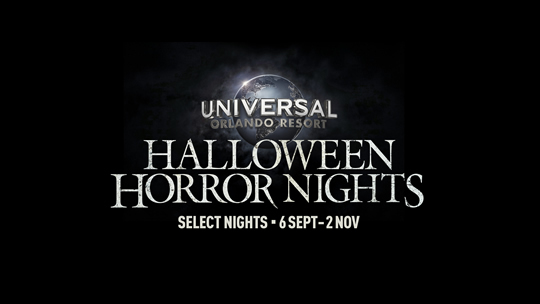 Classes are taught by total pros and take place on select days prior to the park opening. Whether you’re starting from scratch, you’re looking for some help with your pop-up and paddling, or you just want a few pointers on your stance, we’ll make sure you get all the attention you need! After a little instruction on land, you’ll head out on a soft-sided surfboard. And by the time the lesson’s over, you just might be shooting curls and riding waves up to 6 feet tall. Get ready to tell some stories to everyone back home! Know Before You Go: Space is extremely limited, so be sure to make your surfing reservations well ahead of time. 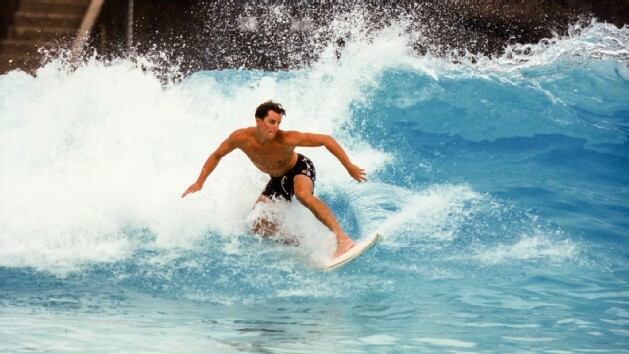 Description: Show off your surfing skill on dozens of private waves at Disney’s Typhoon Lagoon water park! Experienced riders can shoot the curls in the world’s largest outdoor wave pool before the park opens or after it closes. This is your chance to spend some one-on-one time out on the water, without the crowds… just you and the surf! Each session comes jam-packed with 100 waves, broken up into sets of 25—that means you’ll have plenty of world-class surf all to yourself. No matter if you’re a goofy-foot who prefers a left break, or a standard surfer who loves a good right, the choice of wave direction is totally up to you! With a maximum of just 25 Guests per session—including spectators—you’re sure to get more than your fair share of epic waves. Prepare yourself for one unforgettable paddle-out! Description: Steer your crew this way for lunch. Featured items include BBQ pork sandwiches, fried shrimp, chili dogs, fish baskets, chicken wraps and salad. Dessert items, soft drinks and draft beer are also available at this shipwreck-inspired eatery. Description: Leaning toward a quick bite and a beer? You’ll find all that and more here: Angus burgers, chicken nuggets, pizza, hot dogs, hot or cold sandwiches, wraps, salads and drinks! Wet your whistle with the featured beer, Hurricane Reef Amber. Theme Park Tip : Everyone gets beds soon as they walk in, go round the park abit, plenty to chose from, and get to see the rides as you walk round. It''s free parking at water parks, but 25€ at all other parks.